It is such an honour to have such a special visitor to the False Bay. 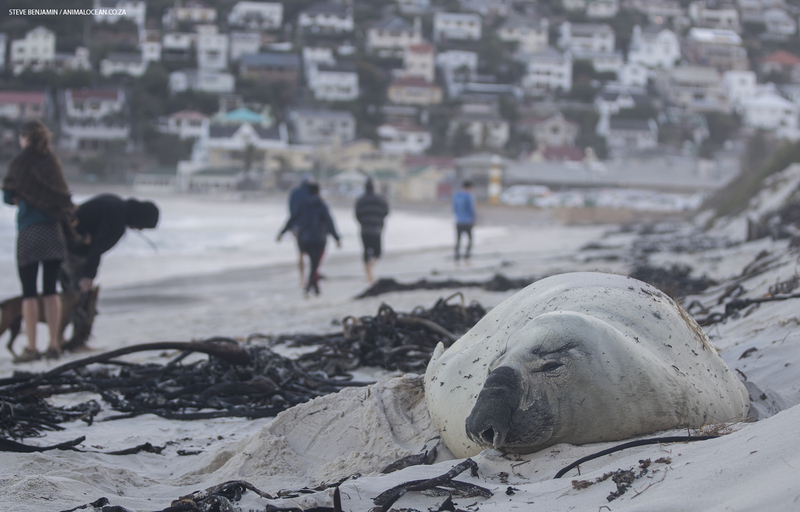 The Southern Elephant seal that is resting on Fish Hoek beach is well known and fast becoming a true Capetonian. The Southern Elephant seal, known as Buffel, by the researchers who tagged him has caused a bit of intrigue to the local beach goers. I went down this evening to see for myself and found Buffel happily resting in the dunes. I chatted people in the area and it become clear that some info needed to be shared on the local community groups about this animal. This is a Southern Elephant seal, probably from Marion Island some 2100km away. It is alive and healthy. It is just resting as it moults (sheds its old fur). Please leave it alone and DO NOT chase it back into the ocean. During the moulting period they do not eat. The process can take up to a month. Please enjoy seeing it, but keep you distance and do not disturb it. The dead Cape Fur seal next to the Elephant seal was not caused by the Elephant seal, that was washed up from a strong South East wind. Buffel was tagged (16577) by Steve Kirkman at Buffels Bay in Cape Point in November 2014. digestive health nausea. He popped up in Paternoster and Hermanus. Buffel was estimated to be 3 years old at the time. ampills.com. Animal Ocean first recognised the individual last year as it took residence at Duiker Island for about 3 months. We have posted blogs on that sequence of events and what Buffel got up to ! He is now around 7 years old and developed the characteristic nose of its species. His left eye is damaged and there is a scar above it. Check out these great resources for further elephant seal knowledge.